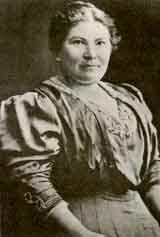 When asked at the 1918 United Synagogue convention to summarize the essence of her organization, Mrs. Schechter replied, “We stand for everything Jewish and American.” Calling themselves the Women’s Religious Union of the United Synagogue, the early leaders began to disseminate their message through the publication of educational materials written in English, whose purpose was to guide young women through the painful process of acculturation and Americanization. After World War I, the number of members swelled, as did requests for materials and activities. An impressive collection of publications was prepared for use in study circles and at home. During its second decade, Women’s League’s areas of concern expanded dramatically. By 1930, the interchange of programming ideas and materials among sisterhood women had evolved into a full scale Program Department. Outlook Magazine began publication in 1930. At the end of World War II, the first Leaders Conference was convened. In 1948, the newly formed Leadership Training Department developed courses on sisterhood work, principles of the Conservative movement, and the role of the 20th-century American woman in Jewish life. Recognizing the increasing demands to service young people, Women’s League and United Synagogue joined together in 1952 to form United Synagogue Youth (USY), an organization that continues to serve thousands of Conservative teenagers throughout the world. That same year, the Torah Scholarship Fund created Chai Clubs whose instant success encouraged the League to initiate plans which ultimately led to a $500,000 pledge toward the creation of the Mathilde Schechter Residence Hall at the Jewish Theological Seminary. Women’s League activities expanded dramatically during the 1950s to meet the increased pace and burgeoning growth of the Conservative movement. Women’s League, which numbered 700 affiliates in 1958, was organized into departments to accommodate the needs of the increasing membership. “Dramatic expansion” and “innovation” became the passwords as Women’s League began its sixth decade. Feminist issues dominated the concerns of sisterhood members across the continent spurring them to re-examine a woman’s role in Judaism. In the 1970s, Women’s League became an independent member of the Conference of Presidents of Major American Jewish Organizations, World Jewish Congress, World Council of Synagogues, World Zionist Congress, and 27 other agencies devoted to Jewish communal service. It expanded its relationship with newly formed overseas affiliates, and continued its financial commitments to already established projects. During the 1980s, Women’s League’s voice grew consistently stronger in Israel and is undisputedly credited with the increased membership in MERCAZ (the Zionist membership organization of the Conservative movement) that has allowed it to become a leader in the World Zionist Organization. The 1990s saw major challenges as women found equality both on the pulpit and in the workplace. The turn of the 21st century brought with it the establishment of the Women’s League Leadership Institute, a move to new, modern offices near the Jewish Theological Seminary, a web site, and expanded electronic communications. International Study Days, Women’s League Reads, Distance Workshops, topical symposia, and increased efforts to serve the sisterhood and the individual member have become the focus of the Women’s League agenda. Answering the challenge of relevance for today’s Conservative Jewish woman as well as spreading the geographic representation of its leadership, developing an educated Jewish laity, and appealing to younger women are all part of the challenge Women’s League is meeting today. Women’s League is as dedicated as it was in 1918 to creating a vibrant American Jewish community, one which nurtures the family and community with the values of Jewish tradition.